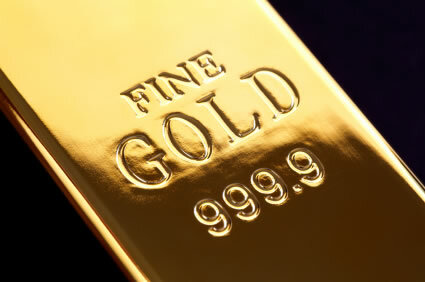 Gold declined modestly in thin pre-holiday trading Monday after rising on Friday from a three-year low. U.S. markets will be open for a half-day on Tuesday and closed Wednesday for Christmas. Gold for February delivery retreated $6.70, or 0.6%, to close at $1,197 an ounce on the Comex division of the New York Mercantile Exchange. In extremely light trading action — likely to be the case most of this week, gold prices ranged from a low of $1,191.80 to a high of $1,205.60. The "$1,180 an ounce is the major level, so if it breaks below that then it’s really just a question of how much further it can drop," Steven Dooley, the head of research, said by phone from Melbourne, according to Bloomberg News. "I would argue that there is support at $1,190 … but there may be more downside as it doesn’t take much to move the market in thin holiday trading," Reuters quoted Andrey Kryuchenkov, analyst at Moscow-based commodities broker VTB Capital. Gold fell 2.5% last week as the Fed’s tapering news pressured commodities. Silver for March delivery shed 3.7 cents, or 0.2%, to $19.41 an ounce, ranging from $19.27 to $19.52. January platinum dipped $4.80, or 0.4%, to $1,327.40 an ounce, trading between $1,325.40 and $1,340. Palladium for March delivery lost $3.10, or 0.4%, to $695.65 an ounce, ranging from $693.15 to $703.15. Last week, losses among the three metals totaled 0.8% for silver, 2.3% for platinum and 2.4% for palladium. Losses last week for London precious metals accumulated to 3% for gold, 1.1% for silver, 2.9% for platinum and 3.2% for palladium. United States Mint sales of $50 American Gold Eagles shot up 13,000 on Monday, doubling from the total reached last week. Listed below are U.S. Mint bullion sales for the week, for the month through Dec. 23, and the year-to-date. The United States will release 2014 American Silver Eagles on Jan. 13, 2014 and it is expected to release the first 2014 America the Beautiful Silver Bullion Coin on Jan. 27, 2014.